From packing up the household to long term storage, we help you throughout the entire moving process. Moving your household is a challenging task to manage all alone. With our residential movers on the job, you can rest easy knowing your belongings will be moved swiftly to their new home. We take great pride in offering trusted and professional services. Our crews even received the "Best Mover" nomination from San Francisco Magazine in 2017 for their dedication to making every moving experience a positive one. Packing up an entire household is a time-consuming task that you might not be able to manage without help. 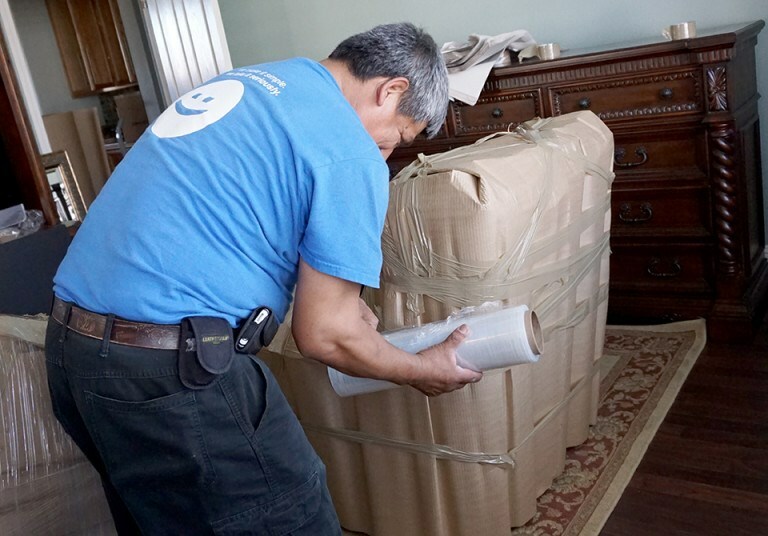 We offer full packing and unpacking services for residential customers who need extra support during their moves. Have Upline Moving send out our trained packers to prepare your belongings for transport. We'll take the time to properly break everything down, wrap it in paper or plastic, and store it in strong, eco-friendly boxes. Let us make sure your belongings are stored safe and sound for the short or long term when you require a little extra space. Our secure storage facilities located across the United States rely on only the most sophisticated technology to guard household goods. We can keep holiday decorations in storage until you request delivery, or we can store furniture and valuables while you move to a new home. Whatever your storage requirement, we can meet it. We know that moving a home can be an involved and stressful process. It becomes even more so when you plan on relocating a long distance away. Take the stress off your shoulders by calling on our Bay Area movers for support. Upline Moving will guide you throughout the entire relocation, starting with a free, in-home consultation and moving quote. You can also fill out our easy online form to request your price estimate for a Livermore move today.